It’s Christmas Eve in Albert Square and after being sent home from the hospital, Stacey prepares for Lily’s role in the Nativity Play. Despite her contractions building, Stacey goes to watch her daughter perform but as the play gets underway, Stacey goes into labour and gives birth. As everyone celebrates the new arrival, one resident begins to put two and two together and comes to a startling realisation. As the dramatic feud between the Hubbards and Mitchells reaches dangerous levels, Ronnie tries one final attempt to put an end to the deadly feud. Things don’t quite go to plan however and she finds herself forced to choose a side and end things once and for all –will Ronnie stay loyal to the Mitchells or turn her back on her family? 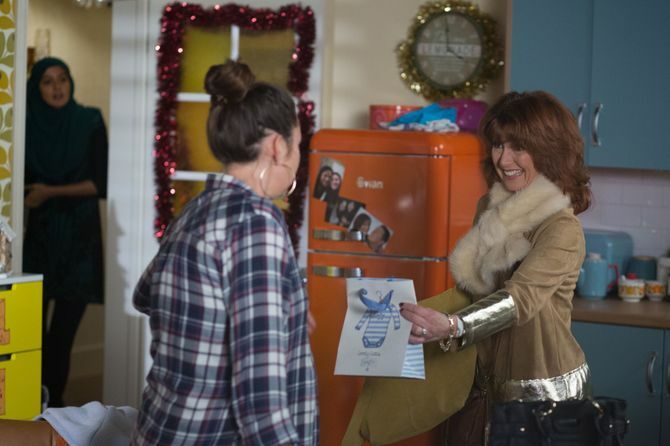 After making her decision, Ronnie takes drastic action but who will be the casualty? Meanwhile, a nervous Billy pulls Janet from the Nativity but Honey takes control and tells Elaine that Janet is taking part. 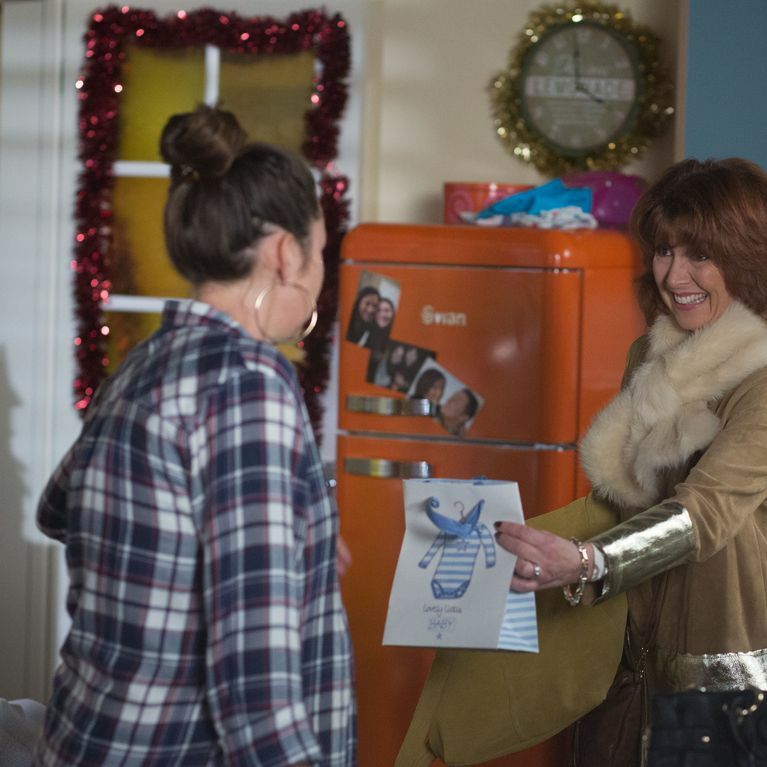 Touched by Janet’s incredible performance, Billy goes to propose to Honey at The Vic but is interrupted when Tina shares the happy news about Stacey’s baby.